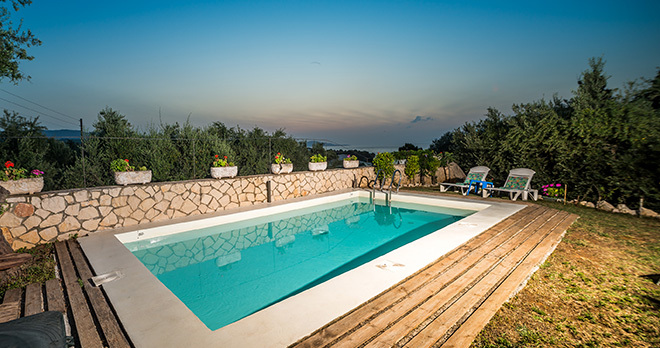 Breeze villa is surrounded by the nature and has a beautiful garden with a private swimming pool for our guests with a stunning view over the sea and with a magnificent sunset in front of you every evening. 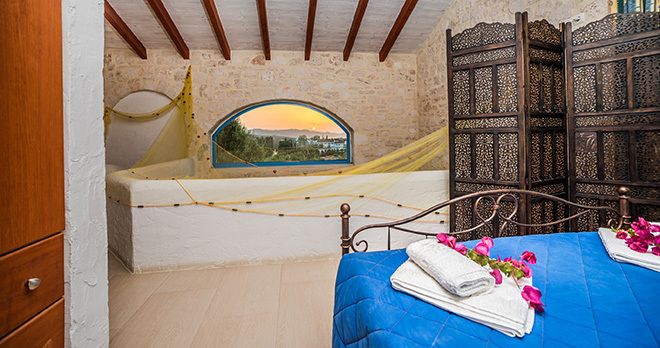 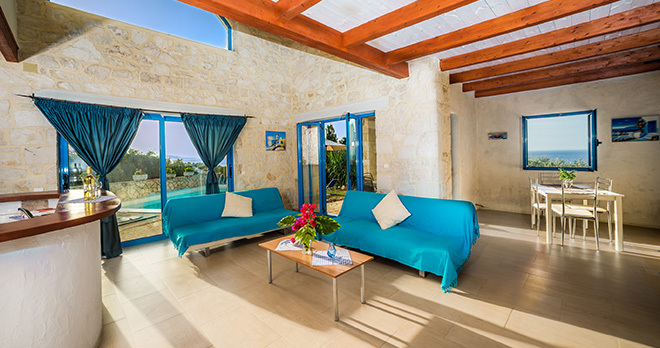 Breeze villa in Zakynthos island represents a great choice for all those who wants to have a high quality stay with all the best comforts and with a reasonable price. 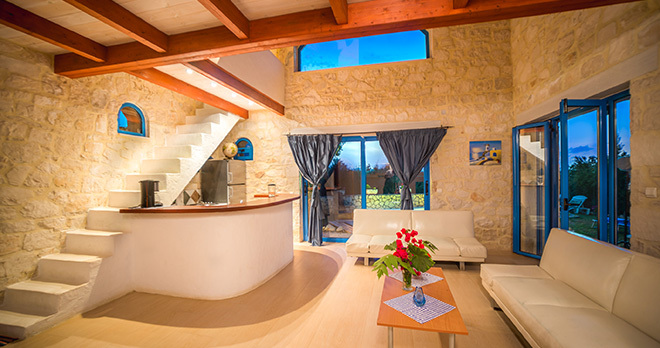 Breeze Villa is a two floors new building surrounded by 400 sqm private garden and with a private swimming pool. 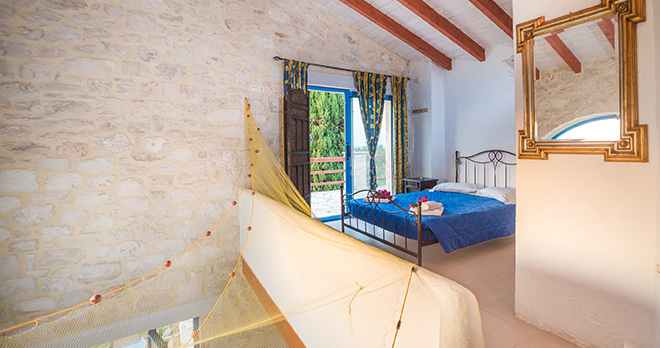 It‘s the perfect holiday accommodation for 4/6 persons. 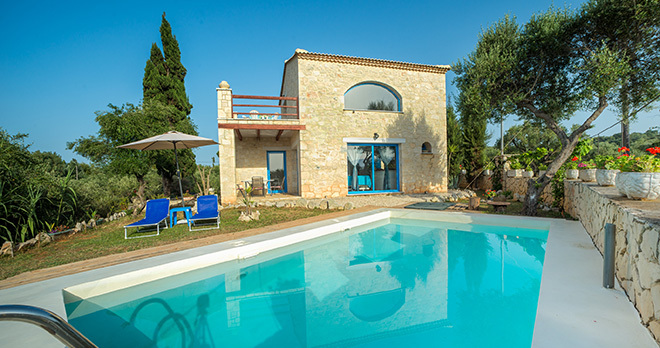 - big terrace in front of the swimming pool. 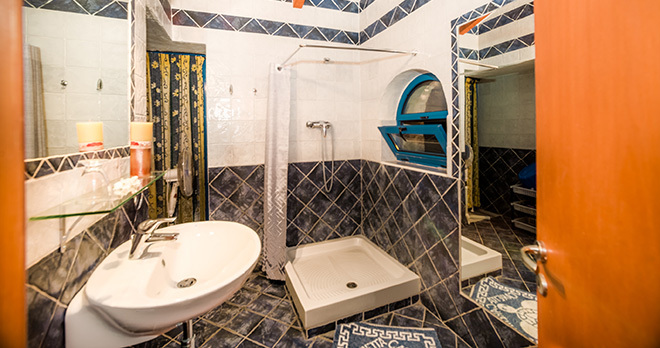 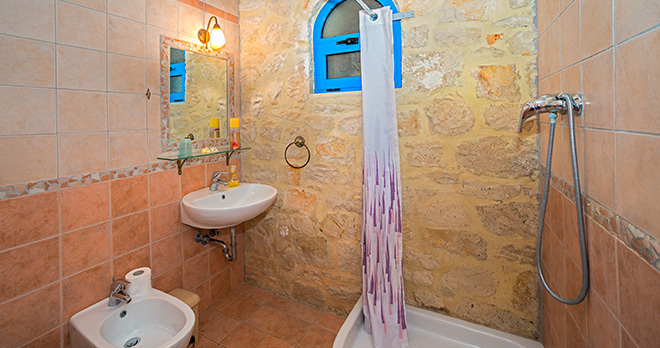 On the first floor there is another double bedroom with a private bathroom with shower. 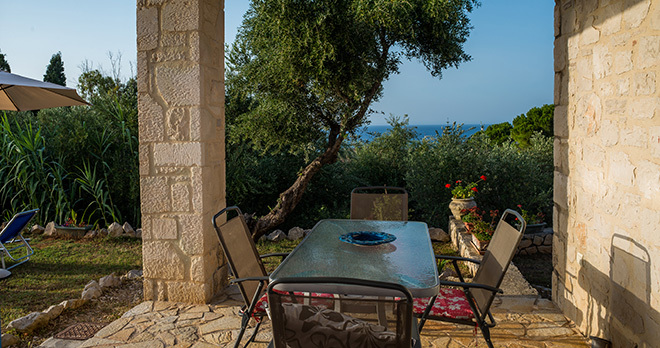 There is also a very big veranda on three sides with sea view. 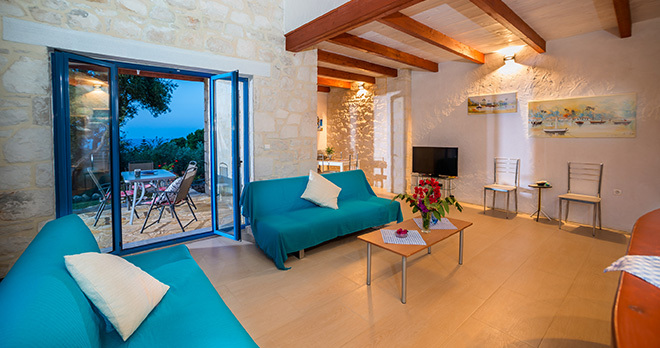 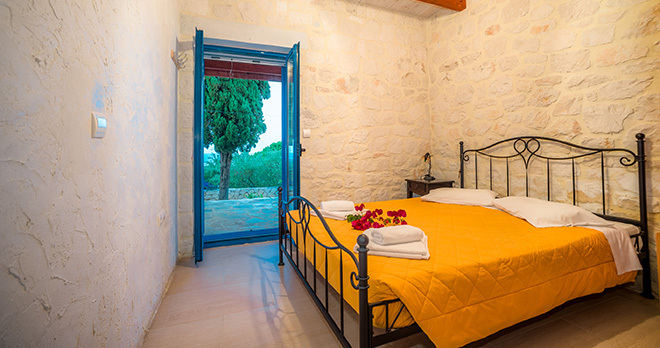 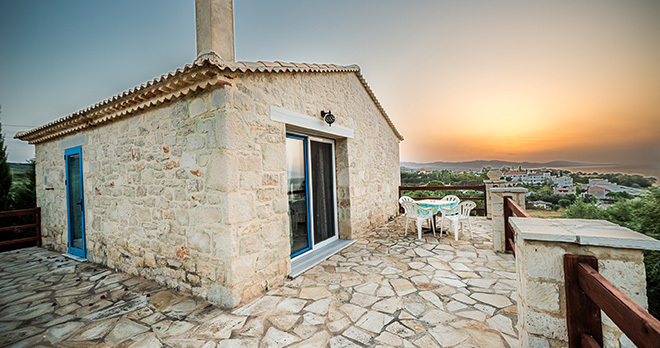 Breeze Villa is placed in a great position on Zakynthos island, in the countryside of Tragaki village and with a marvellous Mediterranean sea view. 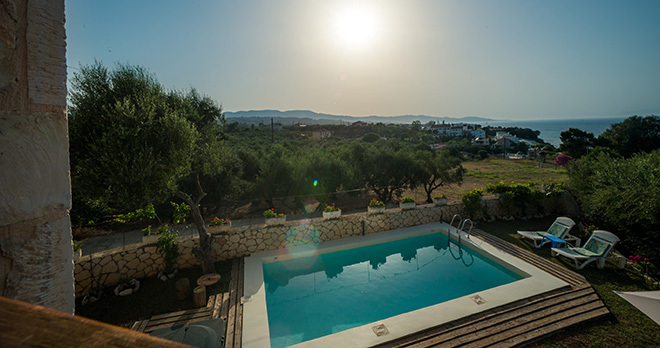 During your holidays at villa Breeze you will be in a walking distance from Ampoula beach, a lovely small bay equipped with beach umbrellas and deck-chairs in the grass, public showers, snack bar and traditional Greek restaurants. 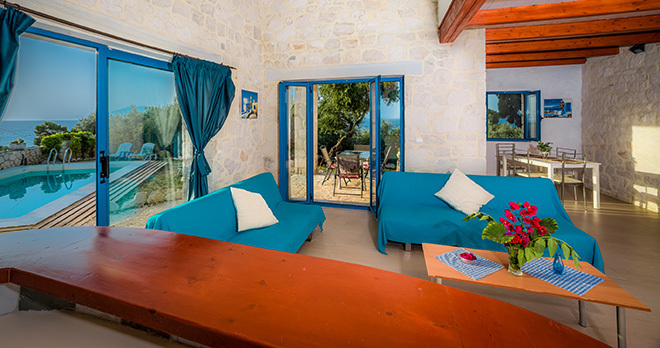 Due to its central position in Zakynthos island from villa Breeze it will be easy to reach the north part of the island with its lonely beaches, or in less than half an hour you can choose between many sandy and tourist beaches in the south of Zakynthos. 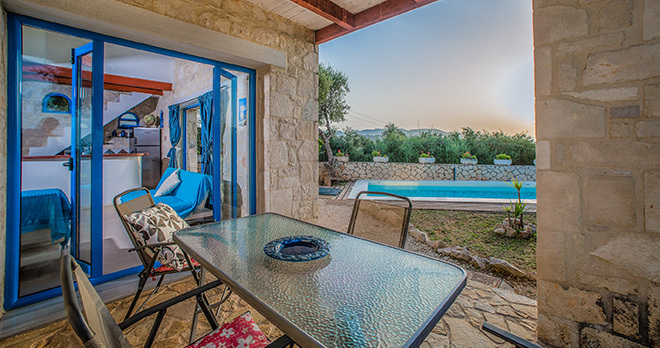 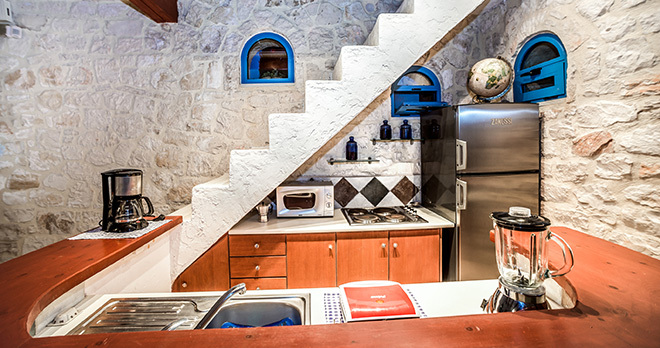 Even if our villa is set in a secluded position, you will be far no more than fifteen minutes from Zakynthos town, the ferryboat port and the airport. 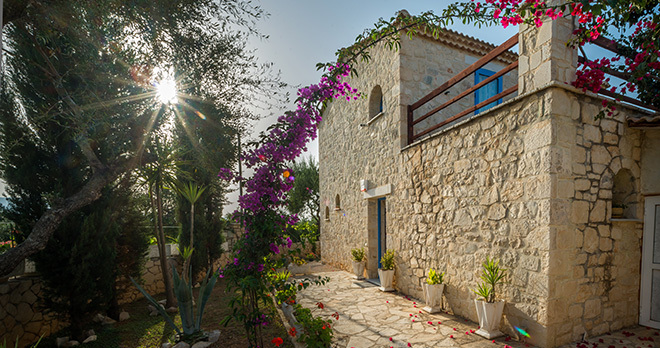 Driving towards Zakynthos town you will find in 1 kilometre Tsilivi tourist village, where there is an huge choice of traditional Greek restaurants, local shops, supermarkets, English pubs and entertainments.